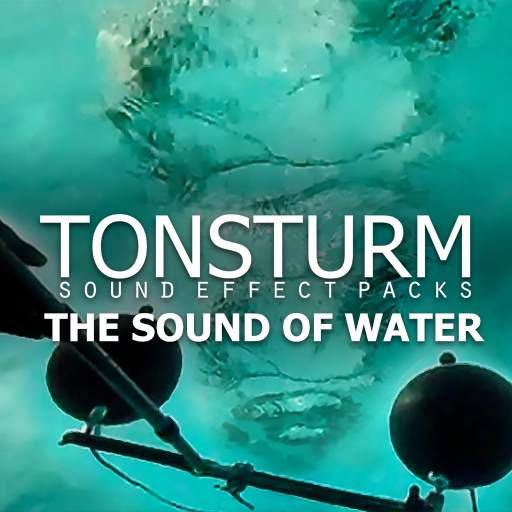 With this soundpack you get a vast variety of deep, splashing, bubbling and bursting water sound effects recorded during extensive field recording sessions above and under the surface of water. The final recordings captured with these magic microphones simply blew us away and we were even more impressed when we started to listen to the sounds at lower playback speeds. Pitched down by one to two octaves the sounds start to sound huge and gain in size but it does not feel like pitched down. It feels more like a perfect slow motion that reveals new details about each little water bubble as if you would simply zoom into the sound. We have never heard anything like this before. 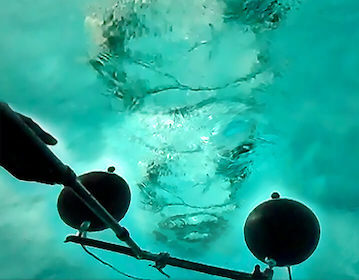 Beside the underwater recordings we also had exclusive field recording sessions at a beautiful and silent lake where we were concentrating to capture thick and exciting water sound effects from above the surface with our Schoeps MS Stereo Rig. We brought all kind of props like a large drainpipe, big plastic buckets, pedals and a slingshot to perform a huge variety off impacts, movements, splashes, sloshes, swirling and gurgling water sound effects.